In the area of Val di Zoldo and Ski Civetta you can ski at altitudes between 1,300 and 2,100 meters. 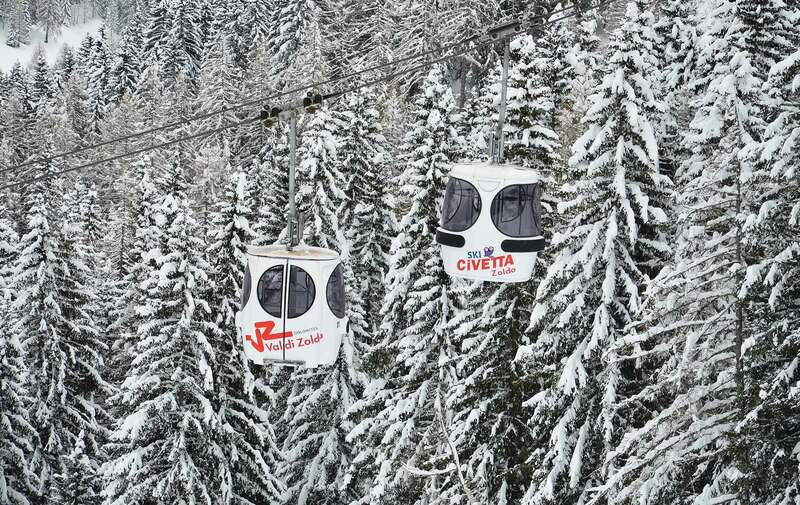 Discover the lifts in Val di Zoldo: you will find eight ski lifts, 21 slopes, 35 km of downhill runs and 80 km of descents in the area around the Civetta ski area Civetta. Which slopes are open in Val di Zoldo? The picturesque snow-covered peaks, the enchanting slopes and the brilliant colours of the mountain: closely observe the beauty of the Val di Zoldo. With our ski pass, you will have the opportunity to practice the sport you prefer to experience and enjoy the moments of fun and freedom. The kindergarten at Pian del Crep is at the arrival point of the Pecol – Pian del Crep ski lift, next to the ski school area, and assisted by a babysitting service.